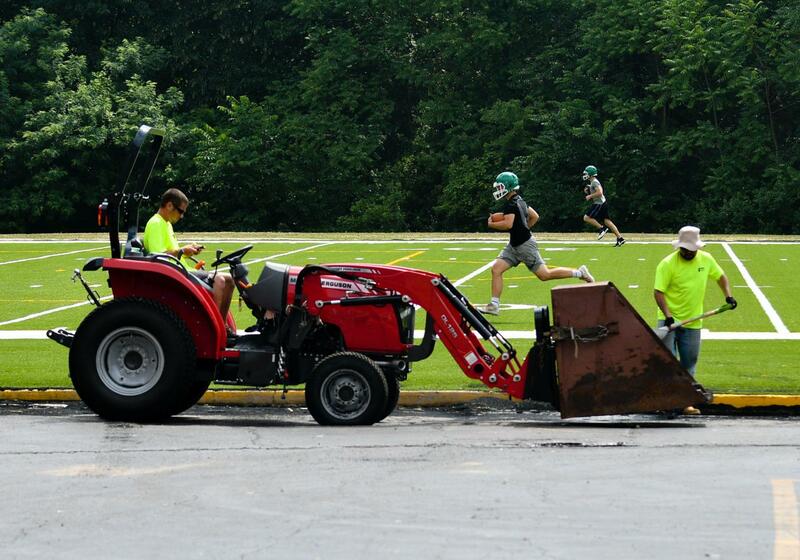 ROCK ISLAND — Alleman High School debuted its newly surfaced Alumni Field with a football practice Wednesday. The field, located behind the high school, has been used for nearly 70 years as the school’s main football practice field. 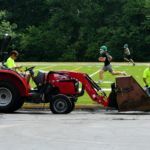 With a new multipurpose artificial surface, the field will be used for a number of sports at various levels, as well as by feeder schools and for other educational needs. Bush Sports Turf recently finished putting in the surface. The cost of the project was $600,000, and it was paid for by Alleman alumni. Contributions included a generous donation from Darrel Reynolds and his wife, Mary Anne, an Alleman grad. The school will have a formal celebration of the field Friday, Aug. 17, to thank the many donors and the numerous people who made the project come to life. Aug. 17 is Meet the Pioneers Night.